Two sensitive yet strong poetic voices unite in a remarkable literary project: “Duet of water (Western-Eastern poetry in sympathy)”. The poetesses Donatella Bisutti (Italy) and Chiyo Kitahara (Japan) bridge the language gap and open up soul worlds. 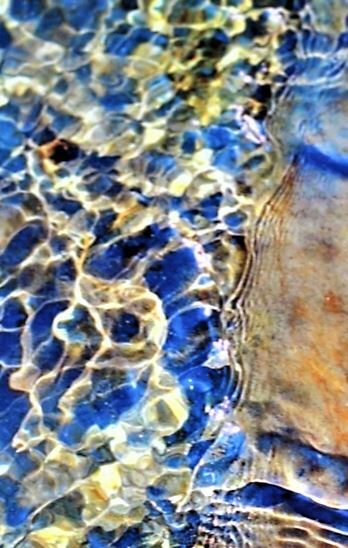 Using images of water, they skilfully tell about change, love and passion. All poems are presented in their original language and an English translation. Poetess Chiyo Kitahara has published 4 poetry books so far. She was awarded the 67. Mr. H prize for contemporary Japanese poetry in 2017. She says about the influence on her work: “I like to think of my books as individual projects, and I want them different in style and topic. Each is based on or influenced by a different idea or concept, such as literary realism or the idea of genius loci. Genius loci means “spirit of a place”, but is often used in an abstract way, referring to the atmosphere or impression of a place. For ‘A River of Pearls – Barroco’ I have worked with images of a river and of water. They symbolise life. So the poems are about life, ‘the life’ of us all. Memories of childhood, adolescence and blossom, pregnancy, parenting, and aging are carved into our body and our heart. However, I didn’t write poems about my personal memories. The impact of our memories on our body and heart is a universal experience of mankind. Chiyo Kitahara’s next book is an essay dedicated to Atsuko Suga, a multicultural writer and leading translator of Japanese literature into Italian. Atsuko Suga went to Europe in the 1950s for her studies. One of her main ideas was that intercultural barriers can be overcome by respect for cultural identities and acknowledgement of differences. Read more about Chiyo Kitahara here and here. The translations of the poems for Duet of Water were provided by Mariko Sumikura, Cristina Banella, Steven Grieco Rathgeb and Anna M. Thane. Brian Williams did the proof reading for the English translations of Chiyo Kitahara’s poems. It must surely be a letter? Duet of water is available in leading online shops.